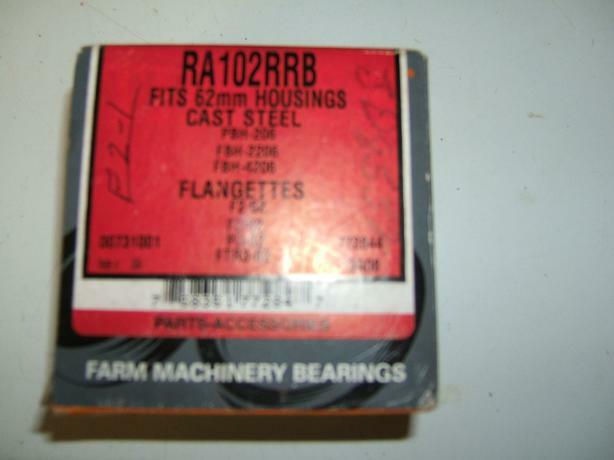 I have for sale a BRAND NEW (IN ORIGINAL BOX) FAFNIR/TIMKEN RA102RRB BEARING INSERT W/LOCKING COLLAR IN A SEALED PACKAGE - 1 1/8" ID. I purchased this for my snowblower, however, I incorrectly listed the wrong part number (got 2 digits reversed), and cannot use it. You can buy it for 1/2 of what I paid for it. *** If this ad is running, item is still for sale.